XL 4310 III WITH POWERFUL BOOM MOVEMENTS, IMPACTS SCALING PRODUCTIVITY AT NEW LIMESTONE MINE. 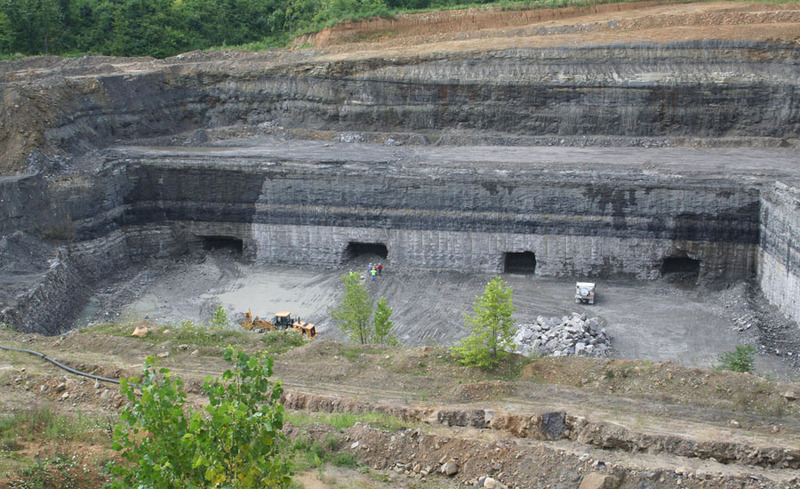 Sidwell Materials of Zanesville, Ohio, was brimming with optimism as it opened a new limestone deep mine, creating four entrances that would result in at least 15 headings. It was expected that the mine ultimately would be about two miles deep and about a quarter mile wide, capable of yielding over a half-million tons of limestone every year for the next 30 to 40 years. 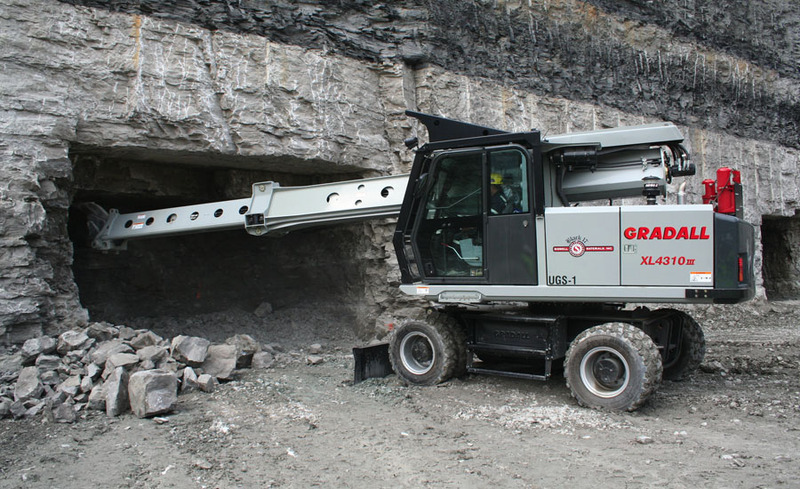 To optimize the yield and maintain productivity, the company declined the temptation to acquire used equipment, instead gathering the most productive new mining machines available, including a Gradall XL 4310 III mine scaler. We had several options for scaling equipment, said Ted DiNardo, mine manager with more than 30 years' experience in deep and surface mining. "We could use a trackhoe and hydraulic hammer, but that requires a lot of maintenance and leads to over-mining. A cutter head creates a lot of dust and is really unproven. 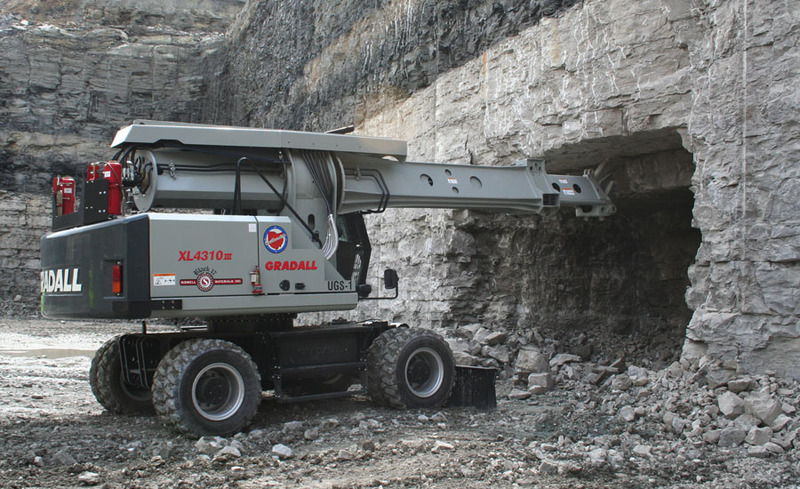 A Gradall scaler with a tilting boom and a pick is the safe, proven option." The XL 4310 III makes good use of the Gradall boom design. After blasting, the Gradall boom can telescope into the low-overhead mine and then tilt 360 degrees continuously to put the pick in the right position to pry loose large chunks of limestone. Ultimately, the mine headings will be in the 17 to 20-foot range - easily within the productive reach of the Gradall boom and pick, but too low for conventional boom excavators to work. I've seen a lot of improvements in Gradall scalers over the years, said DiNardo. "The new ones are more durable and reliable. They have a solid chassis, better swing motors and they've got new tilt motors. The boom is stronger and there is more wall thickness on the hydraulic tubes. In fact, the whole hydraulic system is vastly improved. The operator features are better, too, DiNardo continued. "There's a good air filtration system in the cab, and it's generally more comfortable. The joysticks do a good job with the control functions. 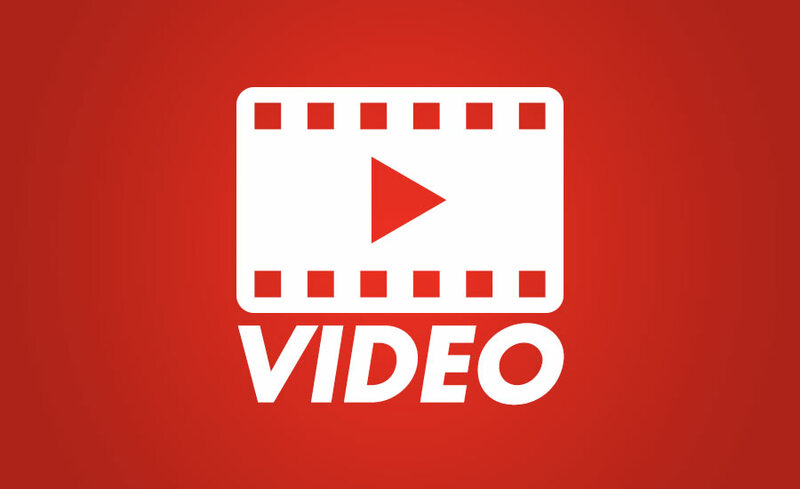 Our guys also like the fact that you can perform daily service functions at ground level." DiNardo also had praise for the Mercedes engine. "They're one of the cleanest engines I've found," he said. "If I don't have a clean engine, I have to spend more money on mine ventilation."